The bright and colourful English Phonics Readers sets explore the different spelling choices for each of the 44 sounds in English through delightful and enchanting stories for children. Through classroom teaching, children have been made aware of these different spelling options, but have only experienced them in lists of words and sentences. Now they will be exposed to as many words as possible through engaging stories. Each sound has its own special story to allow children to experience the different spelling choices in a storybook context. 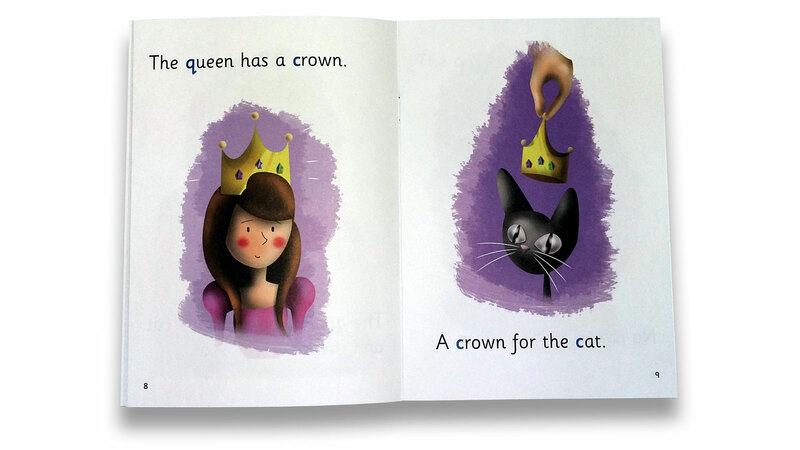 Certain to enhance any phonics lesson, the Readers are ideal for shared reading at home or at school. The sets comprise 44 books (one for each sound) – with the consonant sounds and their spellings in blue and the vowel sounds and their spellings in red. The Readers have been designed to work as a set, but can be purchased individually. Colourful pictures illustrate the story content and key sounds are highlighted throughout the story. Each book ends with 5 comprehension questions that are designed to develop children's spelling, comprehension and critical thinking skills. Each book includes a Word List for introducing and discussing the vocabulary used in the story. The English Phonics Readers are available in 3 Levels. The Reader spines have different shading to differentiate between the 3 levels, and font sizes and story complexity have been adapted for the different levels.